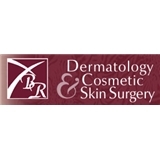 Dermatology & Cosmetic Skin Surgery (Aurora) - Book Appointment Online! It is our pleasure and privilege to serve your dermatologic and cosmetic skin surgery needs. Our mission is to bring you the most advanced and up to date medical and surgical care available. Our main goals are not only to restore your skin to normal health and beauty, but also to provide information to help keep your skin healthy. Dr. Raab has been treating patients in the Chicago area and Western Suburbs for over twenty years. To date, he has personally performed thousands of successful procedures. He has authored numerous articles and journals, teaches, and is a sought after speaker on many important health topics. Dr. Raab was polite, and professional. Explained the exam, and steps to take to remedy any issues.